Pastor Marcus Chilaka is the Senior Pastor and leader of the ministerial team. 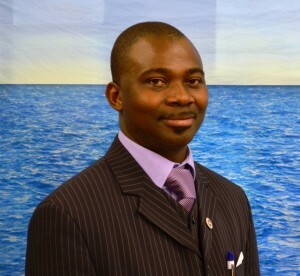 He also serves as a Zonal Pastor in which capacity he supervises several other parishes within Zone 2, North East Province of RCCG-UK. Pastor Marcus has a Doctorate degree and works as a University Lecturer and Researcher in Environmental & Public Health Management. His areas of special Christian ministry are teaching and administration, with emphasis on training and encouraging other Christian leaders to be effective in ministry. Pastor Marcus is also very inclined to the service of raising Christians who would occupy for the Lord in the areas of business and political leadership. Pastor Dave is a graduate of Christ the Redeemers Bible College, has a degree in management and also an MBA from Staffordshire University. David’s vision is to see a great revival in the United Kingdom and is passionate about the supernatural power of God invading the physical.David is also a pioneer member of Kingdom Glory Ambassadors (KGA) a prayer network that unites denominations and Christian organisations in the UK. He enjoys singing, reading and meeting new people. Pastor David is married to Sis. Ijeoma Mba and they are blessed with three children. 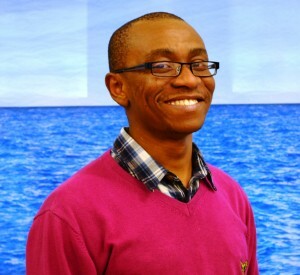 Dr Chukwuma is a medical doctor in the NHS and is Sunday school Co-ordinator for the parish. He is married to Sis Judith and they are blessed with two children.